Karnataka Assembly speaker Ramesh Kumar rebutted Congress leader's 'We are like husband and wife' remark with a strange response. Speaking to the media, Muniyappa had earlier remarked that he and Ramesh Kumar are “like husband and wife and do not have issues over Lok Sabha tickets”, over reports that the Karnataka Assembly speaker was against him getting to contest the upcoming election. Kumar was reported to have criticised Muniyappa and his candidature multiple times in the past and the Congress leader’s comments were then read as a measure undertaken to douse the fire. 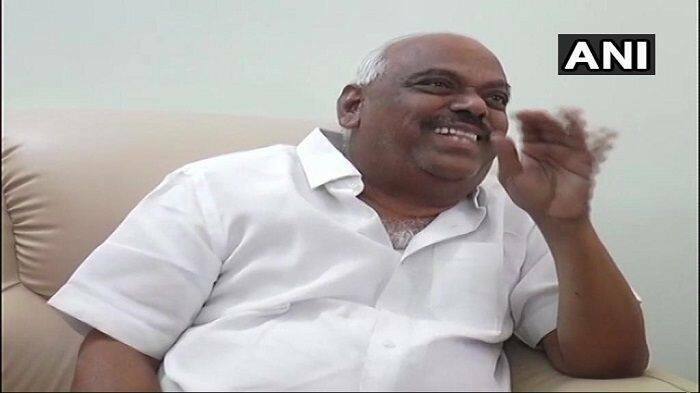 Meanwhile, sources say that all five Congress MLAs from Kolar Lok Sabha constituency are pressuring the top brass to not give ticket to Muniyappa. The Karnataka Assembly speaker is not new to making such controversial statements. Late last month he was caught making an innuendo about him getting ‘raped multiple times’. Karnataka will go to poll in two phases- April 18 and 23. The counting of votes for all phases will be held on May 23.